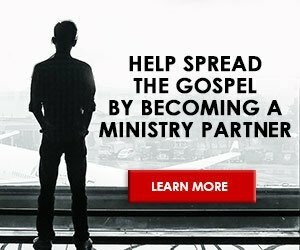 The majority of the Church has not taken seriously the claims of the modern apostles and prophets to be introducing a new paradigm into the Body of Christ. These claims are far more than idle boasts. Indeed the paradigm shifts have already begun in many segments of Christianity. To say that the movement has grown rapidly would be a gross understatement. The issues raised go far deeper than a mere debate over the cessation or continuation of spiritual gifts. Without intending to be alarmist, it is the contention of this article that many of the statements and teachings of leaders within this movement strike at the very heart of essential Christian doctrine and the nature of Christianity. This is no longer a Charismatic vs. Non-Charismatic issue. In this article we will attempt to evaluate this movement. It is not the intention of this article to insinuate that these teachers are not believers in Christ but only to bring a corrective to much of their doctrine and a warning to the church at large. It must be noted that space constraints will require this evaluation to be overly general in nature. The movement itself is loosely affiliated and contains great diversity. However there are some common themes that may be noted. The roots of the movement go back to the precursors of the Pentecostal Movement. They can be seen even more prominently in the doctrines of the Latter Rain teachings of the 1940’s to 1950’s. However for the purpose of this article, we will look at more recent developments. Though no specific date can be given for the beginning of the prophetic movement, it began to emerge on a world-wide level in the 1980’s. In 1982, Mike Bickle began Kansas City Fellowship, the home of the controversial Kansas City Prophets. At the same time, other prophetic ministries were gaining prominence throughout the Church. On October 23, 1987, Bill Hamon hosted and sponsored the first “National Prophet’s Conference” with over 700 people in attendance. Today the movement has literally hundreds of thousands of adherents. The Elijah List, an email newsletter publishing the words of many of today’s new prophets, is received daily by over 130,000 people. It is important to understand that these movements consider themselves to be absolutely essential in the preparation of the church for the coming of Jesus Christ. Notice the role that these modern apostles are to play according to the ICA,” An apostle is a Christian leader gifted, taught, commissioned, and sent by God with the authority to establish the foundational government of the church within an assigned sphere of ministry by hearing what the Spirit is saying to the churches and by setting things in order accordingly for the growth and maturity of the church.” Notice that these leaders are to “establish foundational government within the church”. In other words, the rest of the Body should be submitting to them and indeed will submit to their leadership as the church matures. Though many red flags should have already been raised, the remainder of this article will examine the teachings of the new apostles and prophets and their ramifications related to several key doctrinal areas. Notice that Joyner, in this alarming statement, has completely undermined the absolute authority of the epistles. While, according to Joyner, we can have greater confidence in them than if they were given by mere impressions, these epistles may still contain information that comes from the apostle’s own prejudices and personal doctrines. This would mean, at least theoretically, that we as believers now have the task of discerning which parts of the apostolic message are actually the work of God and which are the result of the apostle’s flesh. Technically then, a believer would have the responsibility to set aside those parts of the New Testament that he determines to be from the apostle’s prejudice as opposed to the Word of God. Not only this, but Joyner claims that this level of inspiration frequently occurs for him when he writes and speaks. This would mean that many of Joyner’s words are on parallel with the New Testament itself. But it gets worse, for Joyner will also claim that he receives much of his information from the two levels of inspiration that are higher than that which the apostles received in penning the epistles. Though Joyner doesn’t draw the obvious conclusion, this would mean that the words of Joyner in works like “The Final Quest” actually possess greater authority than parts of the Bible itself. The result is shocking for if Joyner is correct, we can no longer evaluate his teachings based on the words of scripture but should actually evaluate some of the writings of scripture according to the standard of Joyner’s visions and trances. Sufficiency. In a variety of ways, the modern apostles and prophets attack the sufficiency of scripture. Obviously, if the quotes already given by Joyner and Thomas are true, then the scriptures are not sufficient and the Canon is not closed. Among prophetic teachers, doctrines are being invented on an almost weekly basis that have little or no foundation in the Word such as spiritual mapping, heavenly portals, spirit-ties, spiritual inheritances, judicial intercession, soaking and the list goes on and on. This occurs, despite claims by nearly all the leaders that doctrine should be based on Scripture and not on modern revelation. In some cases, the attacks are even more direct. For instance, Choo Thomas claims the following, “He wants me to serve as living proof of the Bible and His prophecies, because many people do not believe what they read in the Bible, nor do they believe that He is coming soon for His people.” Elsewhere she writes, “He had shown me how desperate many people are to know the truth about heaven, and I realized emphatically that my book would be the means whereby they could really know.” Examine the words of Thomas closely. Her words will do what the Bible is insufficient to do. Those unconvinced of the truth by the gospel will be convinced by Thomas’s testimony. Those desperate to know the truth about heaven will not find their hunger satisfied in the pages of Holy Scripture but in the writings of Thomas. Sadly, she is not the exception. Perspicuity. The teachings of the modern apostles and prophets are destroying the churches traditional understanding of the Bible. They have, in large part, rejected the historical-grammatical form of interpretation and have substituted a prophetic hermeneutic which allows the Bible to mean whatever the prophet says it means today. In this way, the Bible is no longer able to fulfill its function as the basis for truth and corrective against error but rather becomes merely the puppet of the apostle/prophet to advance his agenda. Therefore Mike Bickle can find in Micah 2:12-13 justification for the “breaker anointing”, a doctrine completely unknown for the 2,000 year history of the church. Shawn Bolz can read Proverbs 6:31 and find authority to break off a poverty spirit. Key doctrines of the new movement such as the restoration of the tabernacle of David, enthroning God through worship, spiritual mapping and countless other examples are all based on a poor approach to interpretation. What they fail to appreciate is that doctrine is that which is believed to be true. To say that doctrine is unimportant is tantamount to claiming that truth is unimportant. While it is certain that some doctrines are more central than others and that the church has been too quick to divide, the answer can not be found in minimizing doctrine altogether. Surely this is a case of the cure being as bad as the disease. Additionally, the Christian faith has content. That is to say that when we affirm, for instance, that believing in Jesus saves, we are also understanding that there is a certain amount of content contained within such a profession. It is the Jesus of the Bible, the virgin-born, sinless, Son of God, who died and rose again, who saves as opposed to the Jesus of the cults. Cults and even other world religions may speak of Jesus but the content they attach to the name is different. Here Bickle sets up a false dichotomy. It is true that we do not want a dry orthodoxy but we should still desire orthodoxy. It is true that we cannot tie up every loose end but we can know some things for certain. We are called to a dynamic relationship but this relationship must be based on the truth that God has revealed lest we find ourselves worshipping a God of our own creation. And given the number of strange practices that Bickle has endorsed in the past such as the Toronto Blessing, one can only wonder how many aberrant things may be covered under the “mystery of God”. The Weak God. Consistently, the picture of God painted by these new leaders is less than the majestic, sovereign God of the Bible. Shawn Bolz for instance, tells of a God who has had some of the inventions He intended for His children stolen by those practicing witchcraft. Spiritual mapping advocates imply that God alone is not mighty to save unless the church first clears the spiritual atmosphere. Numerous members of this movement subscribe to the faulty views of E.W. Kenyon that God somehow lost dominion over the earth in the fall. “Our Prophetic History” CD series. CD #1. Mike Bickle, 2002 Friends of the Bridegroom. Joyner, Rick “The Final Quest” 1996 Whitaker House (New Kensington, PA) page 10 On page 133 of this same book, Joyner relates an encounter that he had with the apostle Paul that supposedly took place in heaven where Paul tells Joyner that the words in his epistles do not carry truths as powerful as the words of Jesus in the gospels. Essentially Paul says that his letters are not as inspired as the Gospels.